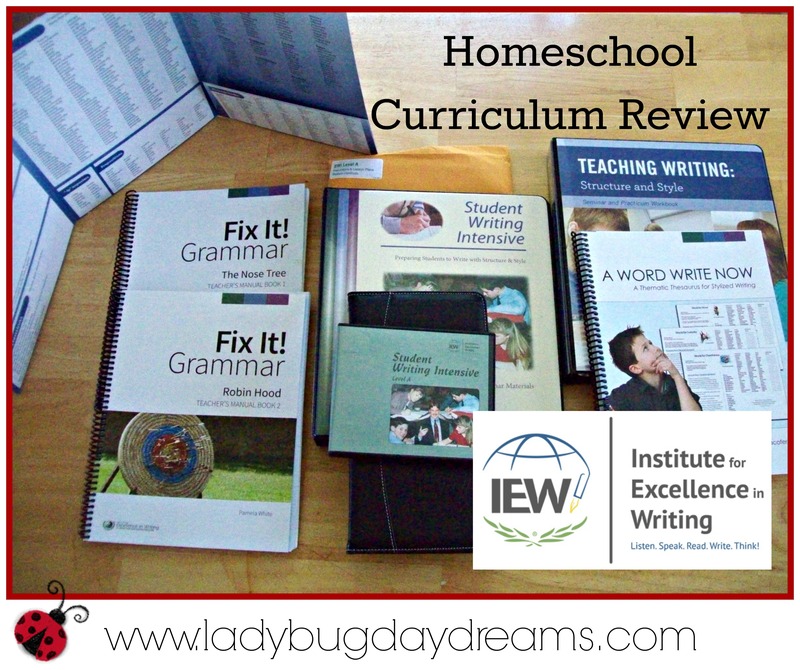 After having been first exposed to the Institute for Excellence in Writing (IEW) last year, they’ve quickly become one of my favorite homeschool curriculum companies. So when I heard that they were offering the Schoolhouse Review Crew another product to review (I did their Fix It! Grammar last school year), I was excited. When I started researching exactly what they were offering, my excitement only grew. And when I learned that I’d been picked for this review, I was positively ecstatic. Whew! That’s a lot of resources! There’s a lot to go over, but I’ll do my best to keep everything fairly streamlined for this review. 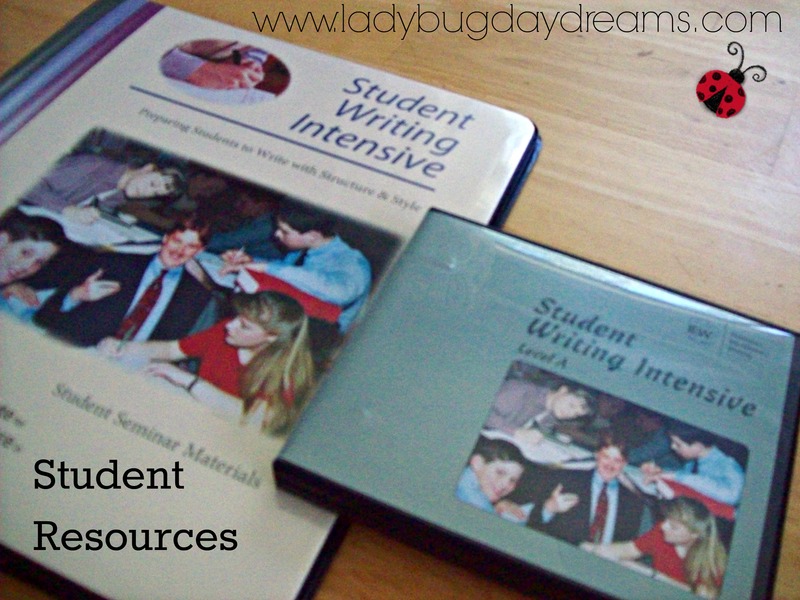 The Teaching Writing: Structure and Style (TWSS) is a 12-DVD set (also available streaming online included with the purchase – which is the method I used since my computer doesn’t have a DVD drive and we don’t have a good DVD player in the house) just for the teacher. 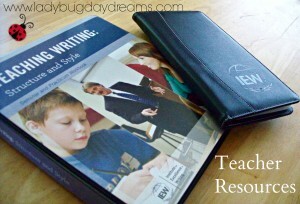 The Seminar Workbook is the “teacher’s student manual” for the class. All the paperwork you need for the class is included, as well as the dividers for the different sections, and a binder to put it all in. You do have to “build” the binder, though. The DVDs (and streaming videos) are a seminar that IEW “bigwig” Andrew Pudewa taught and had recorded. The seminar covers everything you need to know to teach your child (or children) to write well, from 3rd grade all the way up through high school graduation. This one resource alone ($189 for the DVDs, streaming content, and seminar workbook) would be absolutely invaluable to any homeschool parent. I watched the videos on my own, without the children, since it’s a teacher resource. While I was watching, I had the seminar workbook handy even though the pages are fully “formed.” This means that while you can take notes, you don’t have to. Everything that you would take notes on is already printed on the workbook pages. I was able to follow along with the video easily, and I got a good idea of how to begin teaching the boys what they’d be learning through the Student Writing Intensive by going over the TWSS program (well, part of it…) myself first. Because TWSS is a teacher resource, there is no photocopying allowed (there’s likely only one teacher per homeschool anyway, so this shouldn’t be an issue). Everything else on the bulleted list above is a student resource. 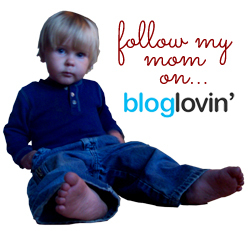 Let’s start at the beginning, and I’ll give a rundown of the products and how we used them. First, the Student Writing Intensive (SWI) DVDs. We received Level A because my kids haven’t really had any formal writing training. There are two other levels, called B and C, and if your students are older, or have more experience writing, might fit better for you. (You can find a link to more reviews at the bottom of this post, and all three levels will be covered by our team.) SWI Level A is a four DVD set, and it’s designed for students in grades 3-5 (perfect for our family!). The DVDs for SWI, much like TWSS, are a recorded seminar taught by Mr. Pudewa. This time, though, it’s aimed at kids, and his teaching style is great. My kids, though they weren’t excited by the prospect of this review, ended up enjoying the DVD portions of the lessons. The lessons are broken up into manageable chunks, and there’s lots of time for practice between lessons. Each DVD lesson runs approximately 30-40 minutes, but you’re only expected to do these once every week or two. 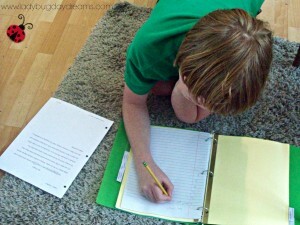 The Student Notebook with Lesson Plans is great. With your purchase, you’re sent a binder similar to the TWSS binder, as well as a manila envelope filled with every single worksheet you’ll need for this course. I love that the IEW copyright policy for student materials is so generous – one purchase allows you to make copies for all of your children. So I built one student binder and then bought each of the boys a binder from the Dollar Tree. The “official” binder holds all of the originals, and I made copies for their individual binders. 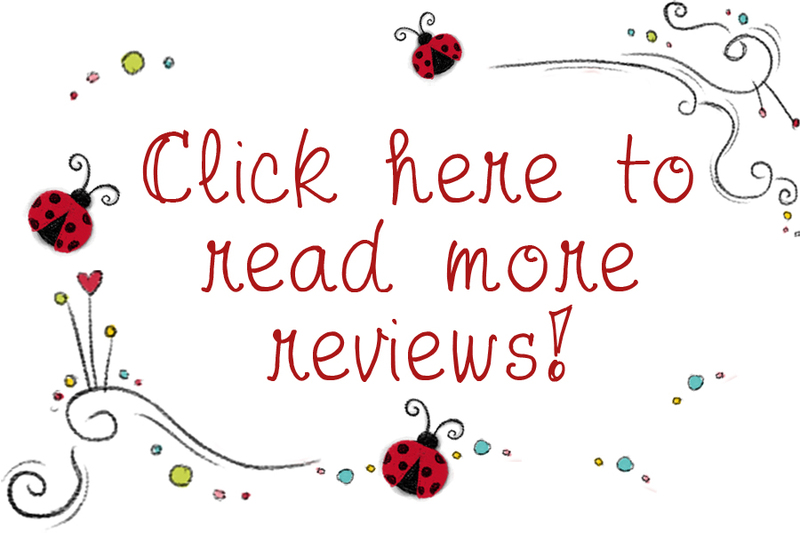 If you read my review for Fix It! Grammar last year, you’ll remember that I absolutely loved this program. 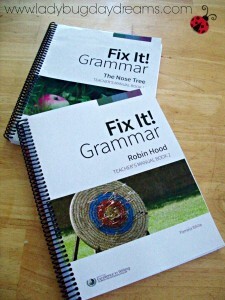 We used it as our official grammar program this entire school year, and will be finishing it up this week. The program is just great. It teaches grammar in a simple, easy-to-understand way, and my kids have retained every single thing they’ve learned from that program. 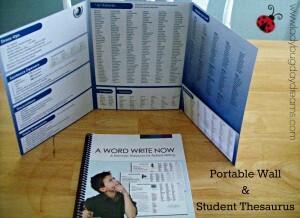 It’s by far my favorite homeschool resource we’ve ever used. In a nutshell, the students are given one sentence of a story each day, and they have to spot and correct mistakes. Each day also includes a vocabulary word for students to define and record in their own “homemade” glossary. When they’ve made the corrections and completed their vocabulary work, they then copy the corrected sentence onto a separate sheet of paper. By the end of the school year (there are 33, 4-part lessons), the student will have corrected and copied the entire story. It’s a fabulous way to teach grammar, and I as just stated, it really sticks with the kids. My kids don’t even like doing these lessons and they’re still retaining the information. I think that really says something to the validity of the program. A Word Write Now is a spiral bound (it feels a lot like the Fix It! books, actually) student thesaurus. I find it much easier to use than an actual thesaurus, too. (I never have learned to use one of those properly.) The book is divided into four parts: Charact er Traits, Adjectives, Verbs, and the Appendix. This 107-page manual offers writers a huge variety of words to choose from to keep their writing fresh and interesting. The Portable Walls is basically one giant “cheat sheet” for writers. Included on the tri-fold folder is a huge variety of writing “dress-ups.” This includes things like sentence openers (to keep your story from feeling list-like), a huge list of -ly adverbs, a list of words ending in -ly that are not adverbs, a list of prepositions (which are one of the hardest things for my boys to remember), a giant list of “said” synonyms, reminders of how to form an outline, and much more. 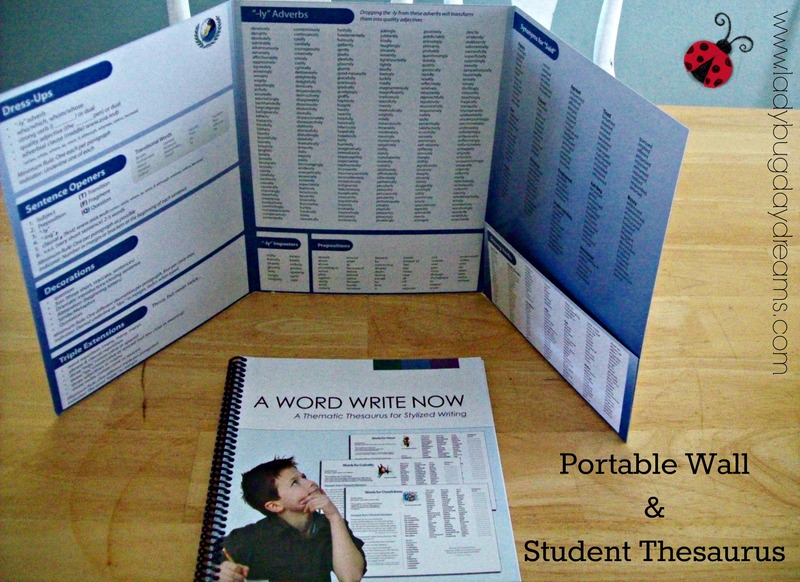 Because of its tri-fold layout, the Portable Wall will stand up on the table and allow the student to easily see all of the different things at once. I touched on how we used this a bit in my descriptions, but I want to talk about it again for a minute. This program is so thorough, and I love that the company provides a suggested syllabus in with the student manual. For the SWI, we followed this syllabus. This meant that on day one, we watched the video for the lesson. Then on the subsequent seven days (we run 4-day school weeks), we ran the suggested practice schedule. The handouts that come in that manila envelope I mentioned before include tons of practice sheets for each lesson, which is really great. There’s no shortage of opportunity to continue to learn and excel at the material. If you feel that your student is understanding things quickly, or is getting bored with “too much” practice, you can use fewer of the handouts. It’s really a very versatile curriculum. As for the grammar portion of the program, we just continued to use this as we already were since it was our regular grammar curriculum anyway. One sentence per day, four days per week. Easy. I was already a fan of IEW thanks to Fix It! Grammar, so it’s no surprise that I loved this program. We didn’t get through too much of the SWI during the review period, but I’m still going to set it aside for now (we’re entering summer break, plus we’re going to be moving in the next few weeks). I love that the program works slowly enough for students to have adequate time to really master the material rather than just presenting it and moving on. I love that the copyright policy is generous enough to allow one purchase to cover your entire family. The only thing I would change would be to offer the SWI DVDs as streaming videos as well as having the teacher videos available that way. That would have been very helpful for our family. We made it work (we bought a portable DVD player to use), but it would have been a lot easier to have been able to use my laptop. The price tag for this program might be a hard thing for some families (for everything I’ve described is $299 if purchased as a set, $378 if you purchase the different items individually), but I have to tell you, if you can swing it, you won’t regret this purchase. It’s totally worth it. 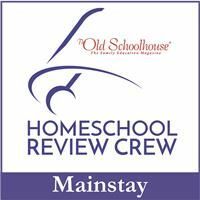 Members of the Schoolhouse Review Crew reviewed all three levels of the Student Writing Intensive, as well as several products for special needs students. Please click the banner below to find a review for the product that would best suit your needs.